I’ll be the first one to admit that I tend to let other people’s opinions of me, and of what I am trying to achieve with my writing, affect me more than I should. Particularly people who are family and supposed to be supportive of you no matter what. It’s hard to tell when people are just saying that they are for you or if they are genuinely for you and their actions resemble that. People can support you and give you so-called help when asked but somehow still not be supportive because they throw it up in your face that you needed to ask for their help to begin with. When people help you with strings attached then their support is on paper only. When I say strings attached I mean they do sometihng for the shere ability to be able to ask you for something in return later. Or so that they can have it to hold over your head and rub it in to you that without their assistance you might not have been able to accomplish whatever it was they halped you with. Those kinds of people who support you, are only really waiting for you to fail, or for the moment when they can remind you that you once needed their help. It hurts the most when those very same people are in your family or inner circle because those are the one’s who you look to be supportive of you and there for you without any conditions. Sadly, it doesn’t always turn out that way. Know the people around you. Everyone who is presumably for you is not for you. Your kin is not always your kind. 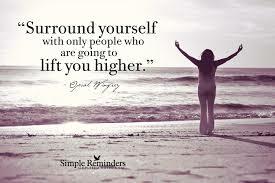 The people that surround you are very important in achieving your goals and dreams. The wrong people will only bring you down and continue to pull you down as you climb your way up. But the right people, they are going to be the one’s who help to push you forward and to give you a hand and pull you up if you start to fall. Don’t let anyone drag you down simply because they are your family. I have a lot of expectations for myself, a lot of big dreams that take putting in a lot of work. Unfortunately, a lot of the reason that I end up giving up on some of them is because I’m afraid that I’ll never be able to do it perfectly and of course if it’s not done right then it just shouldn’t be done at all. The problem with that logic is that nothing ends up ever getting done because perfection just doesn’t exist. Sadly, knowing something logically does not stop you from continuing the same bad habit. Sometimes you feel like you just don’t have everything you need to accomplish what it is that you want to get accomplished, in order for it to be done just right. Truth is that God gives us everything that we need for the moment that we are in and if we don’t have it, it’s because we don’t need it yet. He would never give us the purpose that he gives us, the passion that he gives us, if he were not going to give us the proper tools and skillset to make those things a reality. I talked with a friend yesterday and she asked me when I was going to start using the YouTube channel that I have and putting it out there that I can sing as well as write. Someone else asked me about recording my poetry and putting it on there as well. I came up with quite a few excuses, I’m scared of the camera, I’m afraid that people won’t like it, I don’t think anyone would even look at it, and so on, and so on. The pressure to be accepted, or to even want to be accepted, is oftentimes overwhelming but then I had to look at it from the other side of things. What if someone did like it, what if people did look at it, what if me being less afraid could help someone else out there see that they don’t have to be afraid to do it and should just go for it. What if something I am not doing could help someone else with the same fears? So this year I am going to put my YouTube channel to good use and promote my other talents, and I’m also going to publish that ebook for Writer’s who Self-Sabotage themselves (When Fear is Knocking) along with self-publishing my next Novel (When Love Calls) and finishing my next two novels (Through the Looking Glass, and The Weight of HER). I am not going to focus on what I don’t have, but rather focus on what God gave me for the season that I am in right now. 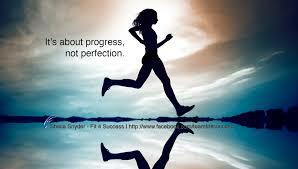 2014 is the year to stop striving for perfection and just strive for completion. So are you going to take whatever leap of faith you are afraid of taking this year and just get it done? It doesn’t have to be perfect, but no one will ever be able to see it if it is not at least complete! Ever had that question in the back of your mind of why when all you are doing is trying to follow through with your purpose, make your dreams a reality, is that it seems every curveball you can possibly think of is thrown at you. It almost seems like right when you are about to reach the peak of your journey up the mountain that an avalanche of obstacles falls right in your path. It’s almost enough to make you want to stop and rethink the journey and whether or not it is the one that you are truly supposed to be on. You second guess yourself a lot when the challenges seem to be so daunting and never-ending. However, when you look at some of the most successful people in life and go examine the journey that they took to get where they are, it would appear that the one’s with the most difficult challenges on the road to their destiny were the ones who achieved the biggest rewards for their efforts. I admit that I get thrown off course a lot of the times by the enormity of my struggles and also by people that surround me that don’t always seem to be for me. Oddly enough these aren’t even people in my inner circle, they are people who just always seem to have something to say against what it is I’m trying to do and I let it get to me. Sometimes it makes the struggles feel even more insurmountable because no one seems to understand my vision or what I’m really all about. I was watching something yesterday and it reminded me that not everyone is going to like me, not everyone is going to understand me or what it is I’m trying to do, but that is because it is not for everyone to understand. I keep getting lured off track trying to somehow prove that I am worthy, that I am important, that what I’m trying to do is important and that it matters. It is said that the enemy (those that are against you) always fights us the hardest when we are the closest to our victories. As it pertains to my struggles, Joel Osteen once said in his messages that you cannot expect ordinary problems if you are an extraordinary person, a history maker, so to speak. I definitely know that I am not an ordinary person and that I intend to be a history maker so I suppose that means I better get ready for some even more challenging battles ahead. In life, when you are trying to accomplish so much, there just simply isn’t any time to waste energy on things or people that just don’t matter. That’s not to say that we should be unfeeling or cold towards people in general. 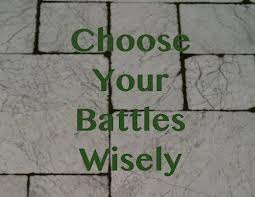 It’s just that when you know what you’re purpose is you have to know which battles to choose before wasting energy on the battles that don’t matter. If the people you are surrounding yourself with aren’t for you and aren’t going to help you along your journey then that’s a battle that you need to let go of. So start letting go of unnecessary baggage today because you’re journey. Why is it that we tend to always focus on what we didn’t do? Think about it. When we make a to-do list for the day or the week, once the day or week is over, all we focus on are the tasks that didn’t get checked off. I’m guilty of this myself. I sit and stress and beat myself up over the two or three things on a list of ten that didn’t get done instead of celebrating, or at the very least, acknowledging what I actually got done. I suppose when you step back and look at a list of ten things and see that you got at least seven of them done you are supposed to give yourself a pat on the back but all I ever see is that I didn’t get EVERYTHING done. We hold ourselves to such high expectations for our own accomplishments sometimes that we forget to take some pride in the things that did get done, for the good job that we have done thus far. God didn’t build the universe in one day so why is it that we think that we can get everything done all at once. All of the things worth having, the dreams that we are creating, the legacy that we are building, they can’t all be completed at a moment’s notice. They take time. Don’t rush what will eventually get done in the time that it’s supposed to be accomplished. If we want the best we have to have patience because rushed work doesn’t always turn out to be the best work. Take your time and give yourself credit for what has already been completed. 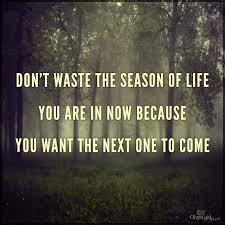 Don’t let what you don’t have diminish what you already do have! When I saw this post on Facebook I had just been thinking about how much I am getting tired of falling down (metaphorically speaking) on this journey of mine. It gets frustrating when what you want is right there, you can almost reach it, it’s so close but the closer you move towards it, it only seems to move further away. If you’re like most people, you begin to question the end goal, wondering if it’s what you’re really meant to have, if it’s even what you really want. Then you start to doubt if it was every what you really wanted to begin with (okay well I’ve never doubted wanted to be a writer, just whether I had the ability) or have you just been trying to convince yourself of that. But the reality is that if you were handed everything that you wanted, on a silver platter, so to speak, and never had to work hard to get there, would you really be able to appreciate finally achieving it. There is something to be said for hard work and struggling to get ahead. Once you know what it’s like to fail, to fall down often (in my case continually), to have to keep pushing through all the pain and all of the people who are going to tell you no, you don’t take it for granted when you finally get that yes and when you finally get to that level that you are trying to get to. I sometimes think that people who were born with all the options afforded to them and who don’t have to necessarily struggle to get what they want so much don’t really appreciate what it’s like not to have it. 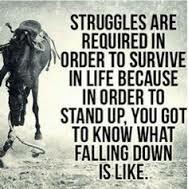 It’s hard when you keep getting knocked down. Honestly, sometimes you just want to lie there and not get back up because you just get tired. But of course staying down is never an option, at least it’s not the one that’s actually going to get you where you want to go. So if you are like me, feeling like you might just want to lie there. That’s okay for a moment, but don’t stay down. Stand up and keep going because the struggle, yes even the part where you fall down, is worth it to get to what God has planned for you. Facebook tends to provide a lot of inspirational sayings to me these days but I suppose it also helps to have inspirational people as your Facebook friends. 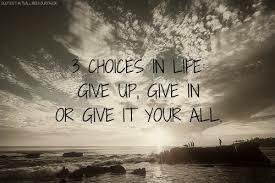 Read a saying that said we have three choices in life, you either give up, you give in, or you give it all you’ve got. I think last year, not sure at what point, I not only gave up but I also gave in. I threw in the towel and everything because I was just tired of fighting for something that seemed to be avoiding me at every turn. When this year started I realized that I needed to give it all that I’ve got and get back up and get into this fight again. The problem I have every now and then is that my emotions tend to get the better of me and when things in my personal life are not going the way that I wish they were my focus is shifted. I am a great at multi-tasking when it comes to writing and working on different projects at one time but what I am not good at multi-tasking my personal emotions and my focus on my writing project. I wish I was better at it but all I can say is that these last few days in which I have not been able to concentrate on my project are not going to get the better of me. I am not going to let it completely debilitate me like it did last year. I’m already doing one step better because I thought about not writing this post today and sinking deep into the emotion that I was feeling and as you see, that’s not the decision that I rested on. Progress comes slowly sometimes but I am working on myself and on staying motivated. I’m not there yet but I am getting there. I saw a post on Facebook that had a quote that said “don’t look back, you’re not going that way”. It got me to thinking about the past and things I’ve been through, things other people have been through and how the past really does affect our lives. It’s true that we can’t let our past hurts and tragedies alter our lives in such a way that it stunts the growth that needs to be made throughout. However, aren’t our past experiences a huge part of who we are, of what makes us stronger and more motivated, and what, all in all, equips us with lessons and oftentimes harsh realities that prepare us for the purpose that we are placed on this earth to fulfill. What we go through in our childhood, in our teenage years, in our early adulthood, they give us tools that we need to be able to deal with the long and at times tiring journey to our destination. 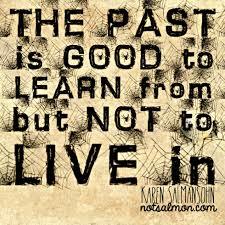 Particularly if our past experiences are not so ideal. There’s a saying that you can’t have a testimony without any tests, so maybe we shouldn’t be so quick to completely forget our pasts experiences. I will be the first to admit that I am an extremely emotional person and that I have allowed certain instances in my past to affect my present way too much, which inevitably affects my future. While I know that I can’t exactly forget everything that happened, I’m not even sure I can totally forgive (just yet), I do know that I need to let go a little. I would say that I need to let go completely but those things are what makes me the person that I am and what will give me the strength to continue my journey into being who it is I am truly meant to be. Without the past I don’t know that I would be fully ready for the future that God has planned for me. So with that said, I tell you, that while you shouldn’t keep a firm grip on your past experiences, maybe you shouldn’t completely let them go because they are what is building you up to take on whatever is coming your way as you travel to your destination. Our pasts can only hinder us if we allow it to and if we allow ourselves to only remember the hurt and not the lessons that came from that hurt.